Do you have aches and pains, but typical creams don’t cut it, the it's time to consider trying a new health supplement. 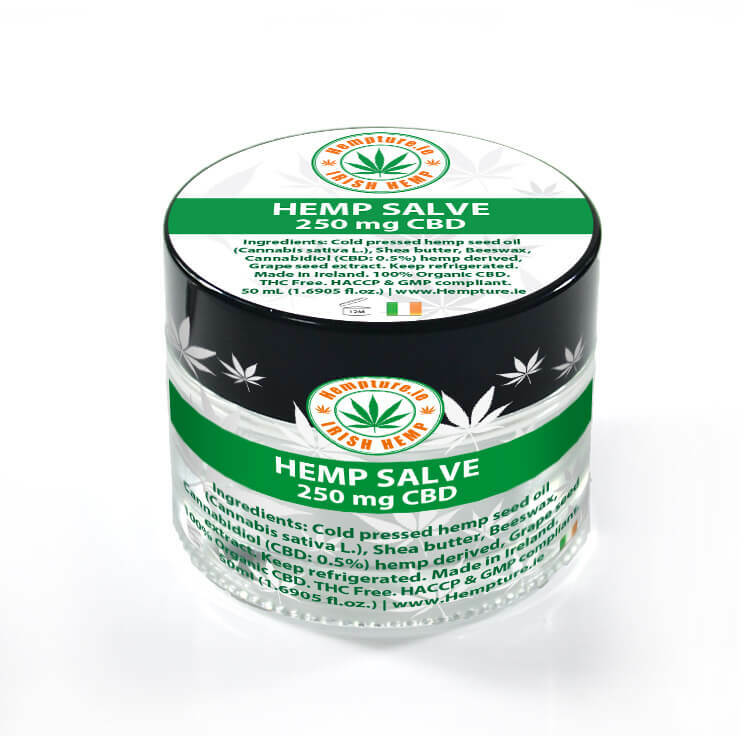 We now stock a topical CBD ointment, derived from cannabidiol, a non-psychoactive compound found in marijuana. Hempture CBD salve has been formulated to apply directly to the skin. We suggest that you wash and dry the area to be treated to ensure that your skin is free from oils, dirt and toxins before applying this CBD topical cream. CBD that is applied topically is directly absorbed through the skin. This is great for those that do not like the taste of CBD oil which is taken orally. CBD cream is also used for a variety of different skin ailments. It has been found to help relieve the symptoms of burns, rashes, eczema, psoriasis, and skin infections. CBD is a great natural alternative for these ailments. 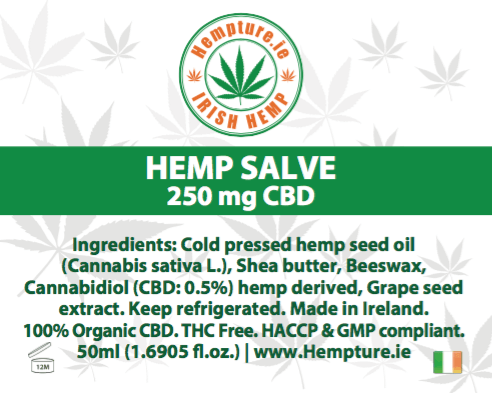 Each 50ml contains 250mg of ORGANIC Hempture CBD. 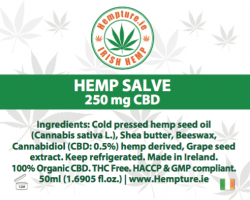 Cold pressed hemp seed oil (Cannabis sativa L.), Shea butter, Beeswax, Cannabidiol (CBD) 250mg – hemp derived, Grape seed extract.